Pro Removalists Furniture Removals Sydney is an expert when it comes to safe and reliable furniture removals. We cover the whole of the Sydney metropolitan area and treat all customers with respect regardless of the size of the removals job. We are also happy to give advice in terms of packing, planning and preparation. Pro Removalists Furniture Removals Sydney has been in the removals industry for more than 20 years insuring you of safe and reliable home and office removals service with our moving truck together with our trusted and reliable movers. We serve locally on the Sydney metropolitan area and help you have stress-free home removals or office relocation. The first thing to do is make a plan as early as possible. This could help you have a more organized move because without a plan, there would be a possibility that you will forget something. And also remember to make a backup plan just to ensure that when something goes wrong to your first plan, there would be a second option. Take planning seriously because it is the backbone of your move. It will certainly be less the hassle if you make a detailed list of everything you need to pack. After labeling all packing boxes, list them and their contents on the inventory list. Mark them as they are being loaded on the track so you would be sure that none of your things will be left behind. Use materials that would keep your furniture and stuff safe. Newspapers and bubble wraps are some examples. Furniture with glasses should be wrapped or protected with newspaper or bubble wraps. This should also be done with anything that can be easily damaged or broken such as vases, mirrors, etc. Always be mindful of your things’ safety. It is always a good idea to put the things you need the most together in one box or container. Things that you may need to use should be in a place where you can easily grab them. Doing this will reduce the hassle in searching through all the stuff you packed and opening multiple boxes and containers just to find what you need. One of the most valuable are your documents since they are the most likely to get lost with all the packing and moving. It is necessary to pack them safely to one place. Also, the best way to not lose any of your valuables is to move them yourself. The most effective way to have a hassle-free move is to hire professional movers. Since they are professionals at their job, they can easily do the packing, removals, moving and unpacking for you. Hiring professionals will not only minimize the stress in moving but they will also ensure the safety and security of all your furniture. The Pro Removalists Furniture Removals Sydney team also shares advice on preparation, planning, and packing to help you have a more organized move. One of these advice is what we are about to share with you right now, so just keep scrolling! Having these heavy-duty furniture pads are necessary for home removals and office relocations as these pads prevent damage or breakage due to the jostle that may occur at the back of the truck when travelling your items especially when loading on a moving truck . Placing these pads between and over your items will prevent them from having scratches, dings, and dents. These packing supplies include tapes, boxes, padlocks, and other supplies which removalists like us, the Pro Removalists Furniture Removals Sydney provide for a cost. The extra charge which may occur is always worth for the safekeeping and security of your items. You may recycle or purchase these items by yourself, but availing it from us is better because we could provide you the specific packing supply you need depending on the nature of your item. Hand trucks are a big help as people are able to move furniture or heavy boxes with ease. You are able to save time and your back. A car dolly is a type of trailer which is recommended for front wheel drive vehicles. With this equipment, the wheels of your vehicle is lifted off the pavement and pulled behind the truck rented. Clients with vehicles for home removals are then able to relocate easier. This car carrier is a type of trailer offered by truck rental agencies that is designed for all type of vehicles but it is commonly used to transport four-wheel drive vehicles. This equipment is ideal for office relocation when transferring company cars. Pro Removalists Furniture Removals Sydney is the right removals company to call when you need help in moving. 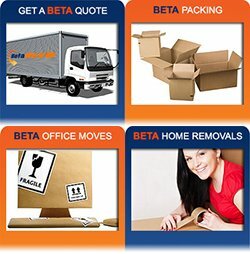 We offer a fast affordable and efficient furniture removals service. We can get you, your family, furniture and your treasured belongings into your new home with the minimal amount of hassle, stress and fuss. Avail our services by calling 0432 330 860 or get a free quote now! A smooth work schedule is necessary if you want an efficient move. Even when hiring Furniture Removals Sydney , it is still necessary to have a detailed plan to finish your move right on time. Without scheduling and planning, your move might not go as smooth as you want. Of course, the movers will greatly help in diminishing the stress and difficulty of the move. But you might not realize that looking for the right movers will also be time-consuming and without a good schedule, you might spend more time looking for a mover than the actual move. Furniture moving is a lot more difficult than just moving a few things. You would need more help and more time to safely move your furniture. Creating a plan and getting help from Professional Furniture Removals Sydney will make your furniture move easier. Pro Removalists Sydney is one of the best moving companies that provides high quality moving services at very affordable price rates. 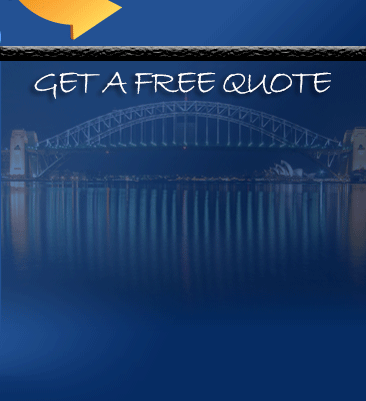 So if you need a mover, Pro Removalists Sydney is the best choice. Starting Early will give you more time to prepare for the move. We also said that it will take you a lot more time when looking for a moving partner so starting early will really be a great help since you will have more time to do your tasks. Also, with more time, you can create a detailed plan and change the plans whenever necessary. Starting early will save you more time for everything you need to do in moving. 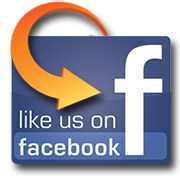 The Furniture Removals Sydney aren’t the only ones you can ask help from. While you are still looking for movers, you can ask help from friends or family members to do simple tasks like packing other things, or preparing the furniture before it is moved. Having a companion will not only make things easier, you will also have someone to talk to that will help avoid boredom. Before the movers arrive you should take measurements and plan the route of the move. This will make the move easier for the movers and will help keep your furniture safer. It will also help save you more time if the route of the move is already planned. If you need a professional Furniture Removals Sydney to help you, Pro Removalists Sydney is the right company to hire! Call us now at 0432330860! You can also read our other articles about Reasons to Hire Professional Movers, The Cost of Moving and Keeping your Things Safe During a Move.